Rich in history and a cultural legacy, Mumbai has some famous tourist locations around. The city has much to offer to those who love to explore. 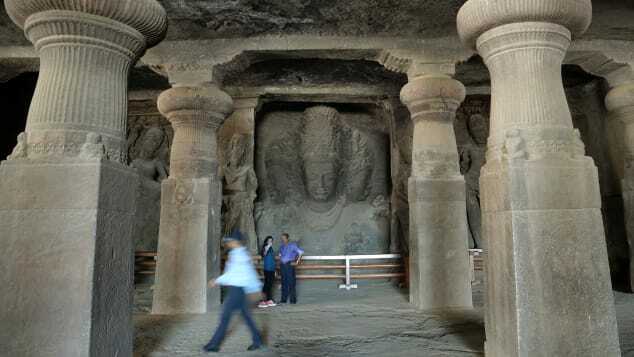 One place worth visiting when in Mumbai include the Elephanta Caves amongst many other iconic sites. These caves have been added to UNESCO’s World Heritage sites in 1987. 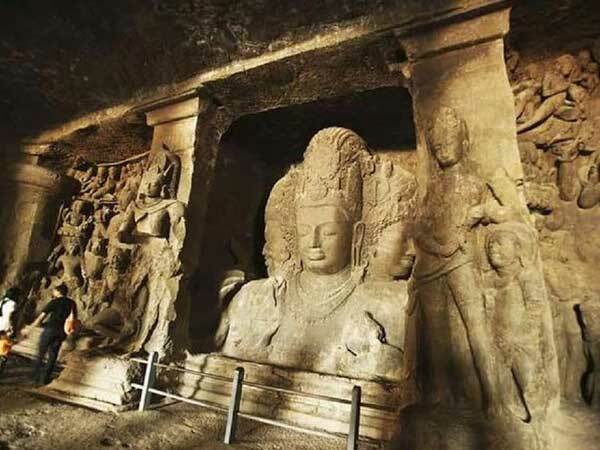 Established more than 3,000 years ago, the Elephanta Caves (also known as the Island of Gharapuri) are rock-cut archaeological remains of the temples built on an island north-east of the Gateway of India. 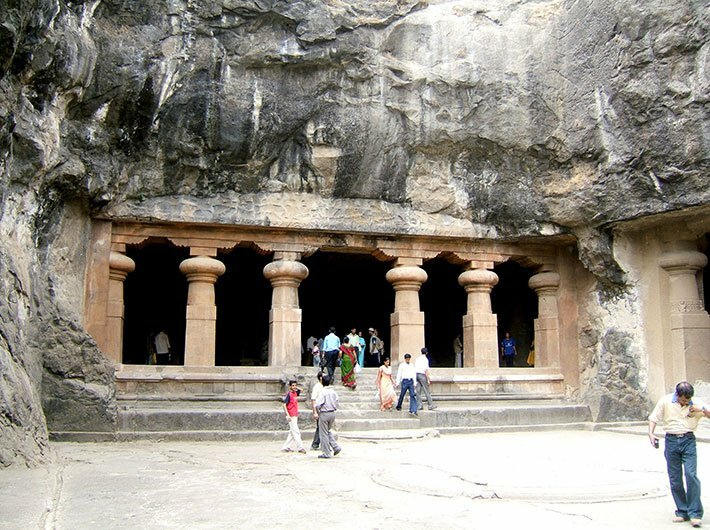 Seeing the famous Elephanta Caves is often on the list of many visitors to Mumbai. However, the effort of having to take an hour long ferry ride from the Gateway of India, often ends with this visit being shifted down the list and often cancelled altogether. The trip to Elephanta can also be rather formidable for elderly history visitors anxious to see the caves. Reaching the jetty, a visitor has to walk up 120 steep steps from the shore beach to reach the main cave. For them there is however, a tourist toy train for those who prefer not to walk. The Wadars of Maharashtra helped the Marathas and Portuguese build their massive forts. Today, they are using the same methods on projects across the country. An undersea cable brings electricity to 1,200 villagers on the famed island off Mumbai. Mumbai offers a dazzling range of experiences, from exploring the city’s fantastical architecture to escaping into a tangle of jungle or going birdwatching. You can, in the space of a few days, take a boat trip to Elephanta island, with its ancient cave temples, explore the sets of Bollywood, try historic Iranian recipes in a historic Parsi café, or cycle through the city in the early morning as it slowly wakes up from a heavy sleep. Get exploring with Telegraph Travel’s Mumbai expert, Abigail Blasi. So gothic that you might expect bats to come swooping out from its pinnacles, domes and buttresses, Mumbai’s main railway station, Chhatrapati Shivaji Terminus, is the preeminent emblem of the 19th-century colonial-era architecture that dots the city, built to celebrate Queen Victoria’s Jubilee. The station may have colonial origins, but its constant throng of passengers epitomises Mumbai’s energy more than anywhere else. Insider’s tip: The architecture is an extraordinary reimagining of Indian culture through 19th-century British eyes and is not to be missed. Deepa Bhoir used to sit in darkness outside her island home and stare at Mumbai glowing in the distance. Now she stays up late watching soap operas – one of millions of Indians whose lives have been transformed by a drive to get power to every corner of the country. Bhoir and her husband Sasuram are among hundreds of villagers on the UNESCO world heritage-listed island of Elephanta to have had mains electricity installed in their houses for the first time. 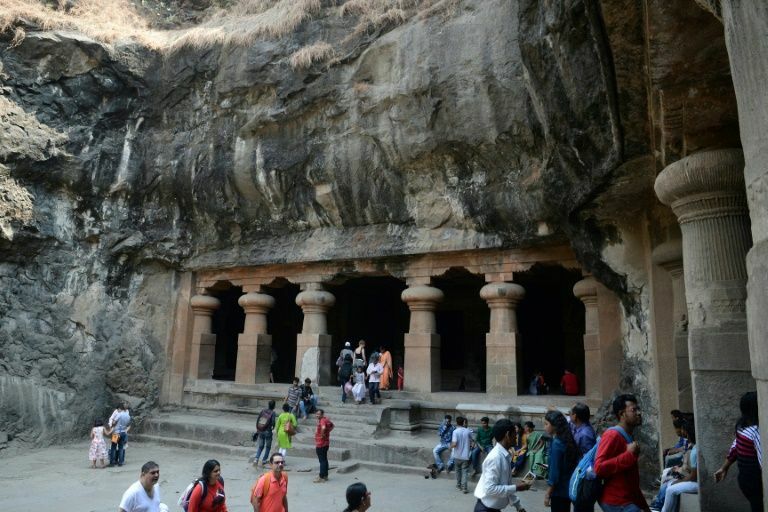 Local officials hope tourists, who take a short boat ride from the bustle of Mumbai to visit the island’s famed fifth century caves, will now spend more time and money there, boosting local businesses and jobs. “We’ve waited decades for this and we’re so happy. Now I can watch all my favourite shows without any interruptions. The TV is almost always on!” Bhoir tells AFP, grinning. 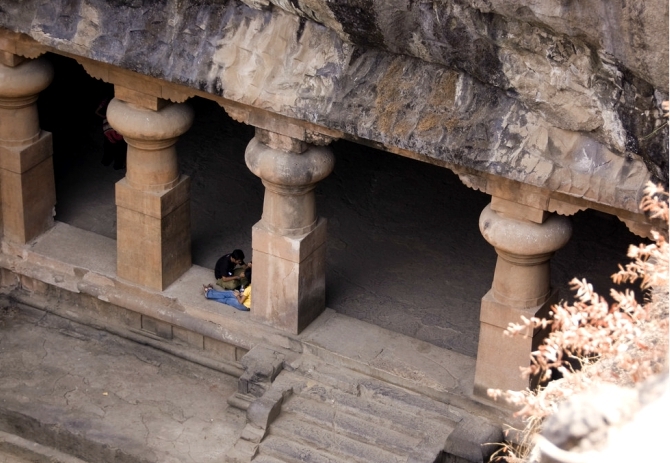 The island is renowned for its temple caves dating back more than 1,500 years and is home to around 1,200 people. To say that the entire stretch is ripe for a stampede is putting it mildly. I spent two weeks in Mumbai recently doing what I usually or almost never do. I visited the Bhau Daji Lad Mumbai City Museum, watched a musical at the National Center for Performing Arts, went to Jehangir Art Gallery and the modern art museum next to it, visited the absolutely charming Mukesh Mills and Sassoon Docks (with its art projects), went for long walks on Marine Drive, stopping at Gaylord for a pastry, spent an afternoon sailing courtesy the Yacht club, explored the lanes, new cafes, street vendors and shops behind the Taj, went to Leopold Cafe & Bar, Theobroma and Café Mondegar, ambled in the streets and cafes of Kala Ghoda, ate a Gujrati thali, among other usual Mumbai delights. I found the city — with its artsy yet modern feel and delightful nooks and crannies — continues to thrill me in a way Delhi — the city of my birth — has never managed to do. But one afternoon, a mad idea gripped me. After a gap of nine years, Maharashtra government will start hosting its much famous Elephanta festival, which was stopped due to security concerns following the 26/11 terror attack in Mumbai. The 29th edition of the Elephanta Festival would be held on 27-28 January, organised by the Maharashtra Tourism Development Corporation (MTDC). To be held at the UNESCO World Heritage Site, the festival originally commenced in 1989 and is considered one of the most prominent festivals of the state which showcase dance, music and art in all its glory. “The artists will interpret the different art forms and will also revive its eternal significance. The Elephanta Festival is the replication of the Maharashtrian culture, with vibrant colours, customs and traditions which depict the diversity of state’s rich culture and legacy,” Tourism and Employment Guarantee Scheme Minister Jaykumar Rawal said. The Elephanta Island, where the festival happens is located around seven nautical miles off the Gateway of India and is a popular tourist destination. Administratively, it comes under the Uran taluka of Raigad district of Maharashtra. The Elephanta Island or Gharapuri has three villages – Shetbandar, Morabandar and Rajbandar.